Final week of the Scavenger Hunt! Hi all. Just a quick reminder: We are in the final days of the Summer Web Hunt. If you haven’t finished (or started, LOL), then click on the Web Hunt banner to the right to get started. The prizes are plentiful and excellent. I’m giving away a $100 Amazon gift card! So, what are you waiting for? Get your entry in, because it all comes to an end on Sunday! 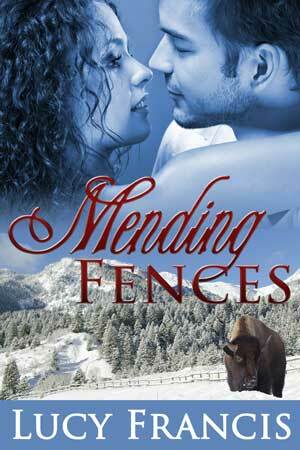 Mending Fences is free today and tomorrow on Amazon. If you haven’t read it yet, or if you enjoyed it and want to gift it to a fellow romance reader, now is the time! Auction ending, Scavenger Hunt beginning! A couple of quick notes for today. First, Brenda Novak’s amazing month-long auction to benefit diabetes research is coming to an end on Thursday. Hop over and take a look at the great items still available. You have two more days, don’t miss it! Click on the blue box at the right to see the Kindle Fire loaded with 30 books, including my Mending Fences, on the auction. Second, I’m participating in the Summer Fun Web Hunt, organized by Night Owl Reviews. It’s a scavenger hunt on the web, and there are AMAZING prizes up for grabs. I’m giving away a $100 Amazon gift card. See? Very cool prizes will be awarded during this promo. Click on the sandy beach box there on the right to get all the details on prizes and participating authors and websites. The fun starts Friday, June 1, and runs through July 15. It’s going to be a blast! Take one reformed hotshot CEO playing rancher. Add one strong woman, an abuse survivor with a lot of secrets. Toss together for one searing kiss on Halloween, then separate. Fold in a slightly deformed pet bison who creates accidental serendipity. Stir together. Add discoveries, revelations, angst, heartbreak, suspense, and generous helpings of both healing and sexual tension. Layer with family relationships and a secondary love story and simmer to a Happy Ever After. Don’t miss it! Download a copy before Friday at Midnight, PDT. Wow, almost a week since my last post. Granted, leaving the tribute to my dad up for a while was part of the plan, but then the weekend got away from me, and, well, here we are at Tuesday. I’m prepping for my first big Amazon promotion for Mending Fences. 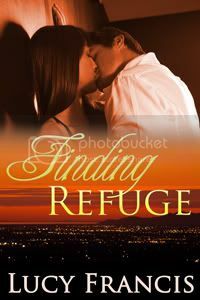 I’m working on Finding Refuge, the second in this loosely tied series begun with MF. 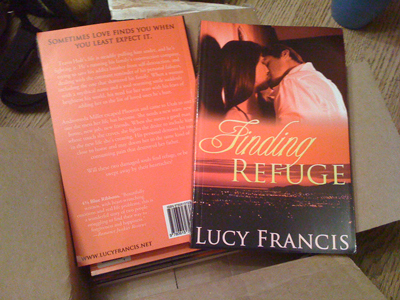 Tentative release is May ’12. I sketched out a novella yesterday (at least I think it will be that short). It’s a time travel romance with a twist. Tentative release is June-July ’12. I’m also spending time on the first in a sort of SF-ish paranormal romance series. I’ve had the individual books partly written for ages. Now I’m working on the overall series structure to make sure everything works together as well as separate. Some serious alpha males in this series, very bad boys. The first of these should release this fall. Outside of writing, this week’s list includes spring cleaning the house, including the mess that is the storage room. It also includes finding the top of my desk, which should be declared at least a local-level disaster. The dogs need grooming, the roses need pruning, and the tree guy is coming to advise us on proper shaping of fruit trees on Friday. Doesn’t sound like a whole lot. Trust me, it’s enough to keep me out of trouble for the week. Please come back and visit on Thursday for the start of the Mending Fences promo! Since the launch of Mending Fences, I’ve been very methodical about promotion and learning where I could create movement. Some techniques work for generating sales, some don’t. While I’ve sold across all venues, the majority of my sales happen at Amazon. Amazon offers tools to an author that have serious potential to increase visibility and drive sales. There is a price to be paid, though. An ebook must be sold exclusively through Amazon to use those tools. So, I’m planning to move Mending Fences exclusively to Amazon for a 90-day period, not only to help it along, but also with an eye toward better visibility for Finding Refuge when it is released in May. The paperback book will not be exclusive, just the ebook version. If you want Mending Fences in an ebook format other than for the Kindle, you might want to pick up a copy today. Otherwise, my books are DRM-free, so if you buy the book from Amazon, you can convert it to your desired format using software such as Calibre (which is awesome, I might add). Happy Monday! The sun is shining, the skies are blue and clear, and holy cow, it’s the middle of March already? Okay, time to mark your calendar. Take a look at the green ad to the right there….This Friday, March 16th, we’re having a Blog Hop to celebrate St. Patrick’s Day and the wearin’ o’ the green! Over 120 authors are going to be talking on their blogs about being Irish, celebrating the day, wearing green, drinking green beer… pretty much anything related to St. Patrick’s Day! Here’s how you, the reader, can qualify for the Grand Prizes: Come on over to the Blog Hop websites on Friday, March 16th, and comment on as many blogs as you want. The grand prize winners will be chosen at random from the commenters. That means you can comment on EACH blog and give yourself 120 entries for the grand prize! Sounds great right? Come on over and wear your green and win some prizes! March is Read an Ebook Month, and over at Smashwords, we are celebrating Read an Ebook Week (March 4-10). Thousands of authors have put their books on sale for the week, anywhere from 25% off to free, so it’s an excellent time to try out one new ebook, or stock up!